Pity Doctor Serge Voronoff. The Russian-born, French-based surgeon had not only a name but an obsession that pretty much guaranteed they would laugh at him at the Academy. Laugh, do you hear?!? It didn’t help that Dr. Voronoff leaned into the image of mad scientist. Not many medical men would stand before a conference of his colleagues as Dr. Voronoff did in 1927 and publicly state, “I will breed a new race of supermen.” We are fortunate that video of his TED Talk, one of the first, still survives. Voronoff’s goal was to use naturally occurring hormones to slow, possibly arrest, and who knows, maybe even reverse the aging process. Only the hormones didn’t have to occur naturally in humans. The good doctor’s research into rejuvenation began with self-injection of extract of dog and guinea pig testicles, as these things so often do. A subsequent expansion of the protocol included grafting the testicles of younger animals to older ones, and transplanting the testes of executed criminals into waiting millionaires. It was while he was juggling balls that Voronoff had his epiphany. There’s never enough fodder for the gallows, but there is always an abundance of monkeys. Hence, his signature treatment: in 1920 he started implanting thin segments of chimpanzee and baboon testicles into the scrotums of wealthy men, an affront to God, man and ape having the intended purpose of combating senility and restoring potency. One of his first patients gleefully told the New York Times that after the operation his wrinkles vanished, his hair grew back, and he fully expected to live 150 years. (There are no additional articles about this patient, so presumably he failed.) The patient was also moved by Voronoff’s willingness to go out of pocket for the monkey; the French government would later provide a line item in Voronoff’s budget for simians, and he would eventually open his own monkey farm on the Italian Riviera. A 1928 Time article on “the tall, deft Parisian surgeon who grafts fresh, invigorating glands into animals or men who seem to need them” described how wealthy benefactors dispatched him to Syria via yacht to determine whether his unique approach would increase the wool yield by native goats. But by then, his work was already being discredited. It would become controversial again in the 1990s, when some speculated his xenotransplantation efforts were a possible vector for the AIDS virus’ entry into the human population, a claim that has since been refuted. Others scientists are reappraising Voronoff’s work, calling it an extremely primitive version of hormone replacement therapy. There’s no denying that during its brief vogue, Voronoff’s study made quite an impression. It inspired a reference in an e.e. cummings poem, an Irving Berlin tune in a Marx Brothers movie, a Sherlock Holmes story – and, naturally, a cocktail. Because if you’re not going to drink to restored potency, what are you going to drink to? Given that history the gin-and-juice Monkey Gland is a bright, surprisingly sprightly creation. Reports in 1923 French newspapers indicate it was all the rage in Paris. In Europe the drink was made with absinthe. American bartenders, then denied that particular beverage, substituted Benedictine. Either is acceptable, as is any standard pastis stand-in for absinthe. I used Pernod, and while it can be mixed with the other ingredients I find it more effective as a rinse for the glass. In the spirit of Dr. Voronoff I was willing to experiment with the final ingredient, grenadine. I’ve never made my own, because pomegranate season is so short and pomegranate juicing season so messy. I planned on assembling a speed version combining bottled pomegranate juice and superfine sugar. Ultimately, I decided to use pomegranate molasses, which Jim Meehan recommends for this drink in The PDT Cocktail Book. The molasses is more viscous than grenadine and provides a more concentrated jolt of flavor. It also lends the drink a darker, reddish-brown hue. Allow this incarnation of the cocktail a moment or two to settle. The intensity of the pomegranate taste, laced with citrus and hints of anise, is worth the wait. Shake the first three ingredients with ice. Strain into a cocktail glass rinsed with absinthe or Pernod. No monkeys were harmed in the making of this drink. Be forewarned. The latest issue of Noir City, the magazine of the Film Noir Foundation, is extremely graphic. 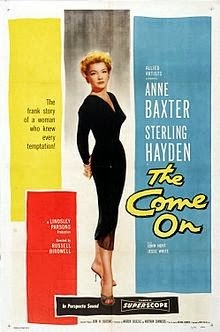 That’s because the focus this time out is on comics as a noir medium. Ace designer Michael Kronenberg has pulled out all the stops illustrating this edition, with articles on EC’s “Picto-Fiction” books, the work of urban chronicler supreme Ben Katchor, and a host of other comics-related subjects. There’s also our standard coverage of classic film noir, with Jake Hinkson on the sad career of femme fatale Peggie Castle, a survey of 1960s exploitation fare, and a consideration of the noir roots of Christopher Nolan. 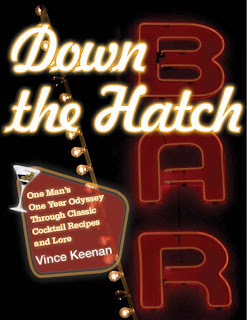 And, of course, another installment of “Keenan’s Korner,” my crime fiction & cocktails column. 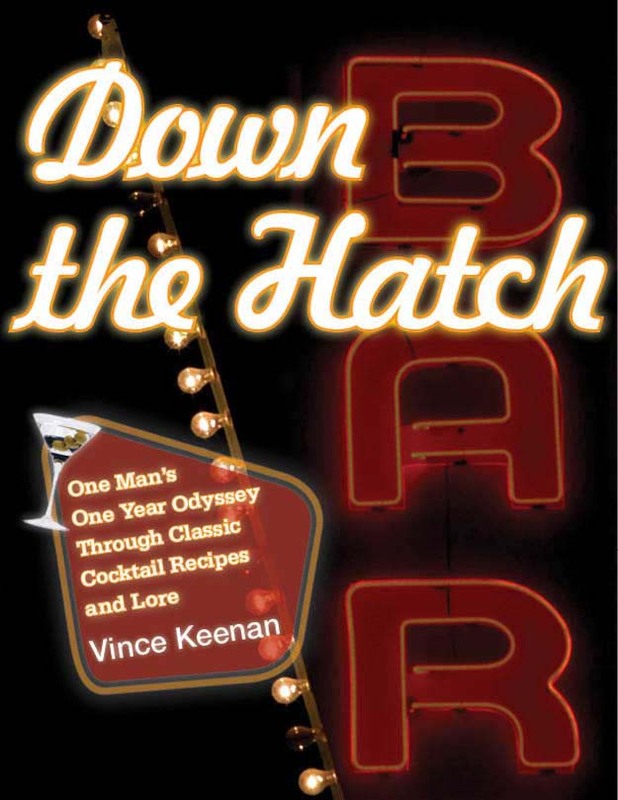 In this go-round, I take a look at new books from Sara Gran, Urban Waite and Roger Hobbs, and serve up the lowdown on a dark rum favorite for the end of summer. 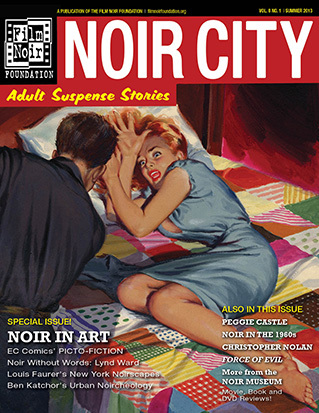 For your copy, visit the Film Noir Foundation website, make a contribution to the preservation of America’s noir heritage, then clear the decks to devote several hours to the magazine.